Camping season is here! Luckily, Austin is not far from several great camping spots. You can pack up and easily get to Emma Long Metropolitan Park, McKinney Falls State Park, Pedernales Falls, Krause Springs, or Bastrop and Buescher State Parks. But if you’re looking for a little more of a weekend getaway, head to Inks Lake State Park, a little over an hour’s drive from Austin. I grew up in that neck of the woods and spent my college breaks working at the park. While the weekends would book up during the summers (it’s the second most popular state park for overnight camping), I always thought that the fall was the time to go, when the temps cool off at night for good sleeping but warm up enough during the day to make you want to jump in the lake. The park stretches for miles along the shoreline of Inks Lake, so you are almost guaranteed a campsite either on the water or within easy walking distance. Though the lake is not wide, it’s constant level – and beautiful, with several inlets and shallow areas for the kids. Bring rafts, life jackets, buckets, and folding chairs and you’re set for the weekend. There is plenty to keep a family busy too, with the park’s three playgrounds, two fishing piers, a boat dock, miles of hiking trails along granite outcroppings, and a park store that rents kayaks, canoes, and paddle boats. 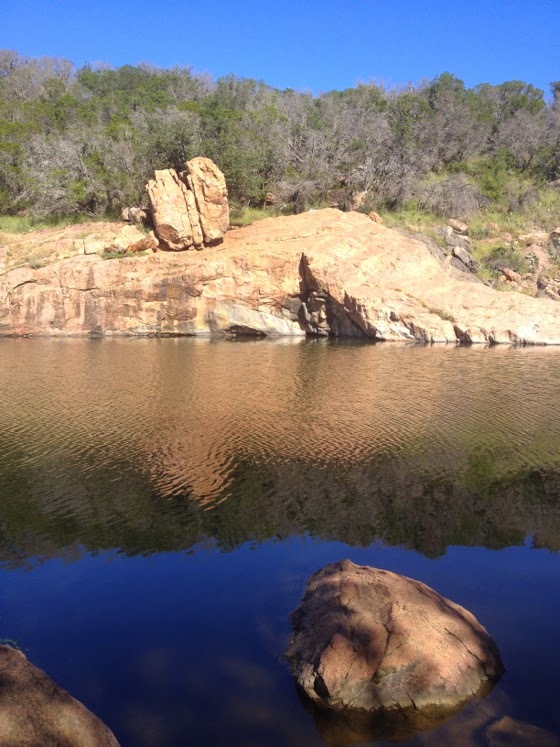 A favorite “secret” spot on the water can be found at the end of a short hike (or canoe ride) to Devil’s Waterhole where the braver sorts jump from a wall of granite into the water. My kids and I take floats (since the water is deeper here) and spend hours just hanging out, watching the cliff jumpers. Three miles south of the park lies Perissos Vineyards, a family affair that sells handcrafted Texas wines and holds tasting hours every Friday-Sunday from noon – 5 p.m. Visitors can sit and sip inside the spacious tasting room or at outdoor picnic tables beneath large oaks. Longhorn Cavern State Park is a 6-mile drive away up a beautiful, winding section of Park Road 4. Cavern tours occur every hour on the weekends (less frequently on week days) and last an hour and a half. Guides lead visitors through a little over a mile of cool, limestone tunnels, sparkling alcoves, and large cavernous rooms, blending a mix of geology, history, legend, and humor. Sweet Berry Farm in nearby Marble Falls offers fall fun with a pumpkin patch, horse rides, corn mazes, flower picking, hayrides, goats, and picnicking. If you’re in the area in the spring, you’re in luck too. They offer strawberry picking from March-June. Admission to the farm is free; activity tickets are sold separately. 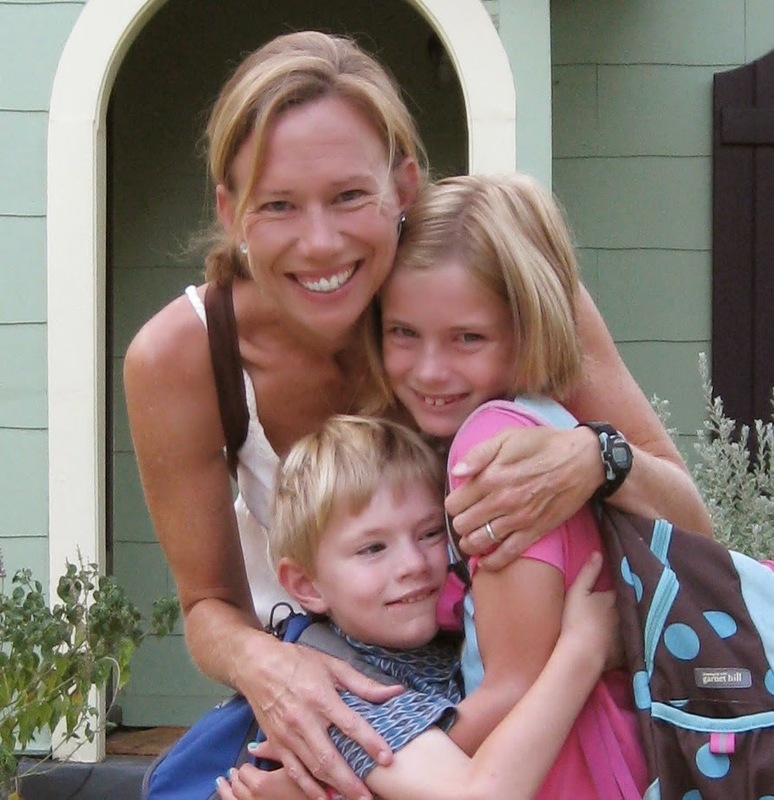 Annette Lucksinger is author of Exploring Austin with Kids: Over 100 Fun Things to Do with the Family. This month, she’s hitting the campsites with her family. After several trips of forgetting to pack the matches, the lantern, rain jackets, fuel for the lantern . . . she’s come up with her own handy “Camping Checklist.” You can find it on the news page of her blog.